For the third week in a row Barça have had good reason to celebrate at the final whistle. Once the referee brought the Clásico to an end at Camp Nou on Sunday evening, the players made their way to the centre circle, just as they did in the Wanda Metropolitano after the Copa del Rey final and in Riazor after winning the league, to celebrate the 2017/18 double. Once together in the centre of the pitch at Camp Nou, the players formed the now familiar circle to display just how much their success this season means to them. Andrés Iniesta, having been substituted in the second half of his final Clásico came off the bench barefoot to join in the celebrations. 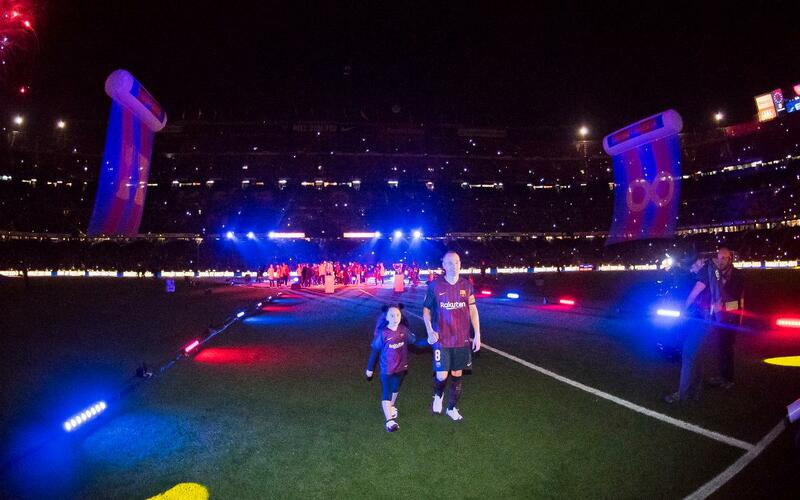 With the Barça anthem sounding out, confetti falling, the player began their lap of honour after which Gerard Piqué commandeered a microphone to announce, “As we’re league champions and nobody has given us a guard of honour today, we have asked the coaching staff to do it as we leave the field.” That is how the celebrations concluded with the honour of the unbeaten still intact.